What is the best way to keep my solar panels clean? Keeping your home solar panels clean is important for maximum production, and nothing works more effectively than our solar panel cleaning systems. 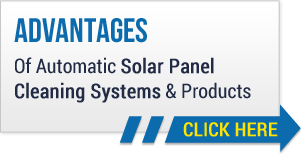 These state-of-the-art solar panel washing systems are perfect for both residential and commercial use, and feature independently programmed rinse and wash cycles for easy use. Our products are ideal for users who lease their systems or are in the leasing business. Given the money you’ve invested in your solar panels, it only makes sense to protect your system by keeping it clean at all times. You could clean your system manually, but the time, effort and risk involved in that eliminates it as an effective option. When it comes to keeping your system clean, nobody does it like Heliotex. You owe it to yourself to do what it takes to keep your solar panels in optimum working condition. Dirt, dust, leaves, bird droppings and more can dramatically limit the effectiveness of your system over time. One call to Heliotex can fix all that. 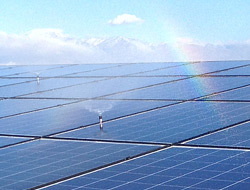 If your solar panel system isn’t consistently kept clean, you are not getting the production you paid to receive. This makes no sense and is in essence throwing money out the window. Our systems are affordable and are built to last. Add in ease of use, tax credits in the U.S. and increased production and installing a Heliotex system is one of the most cost efficient moves you can make. Heliotex is happy to provide a free quote to prospective clients so that they can see on paper the cost effectiveness of installing one of our cleaning systems. Call today to learn more, and make certain that you are protecting your solar panel system with the most effective cleaning options on the market today.